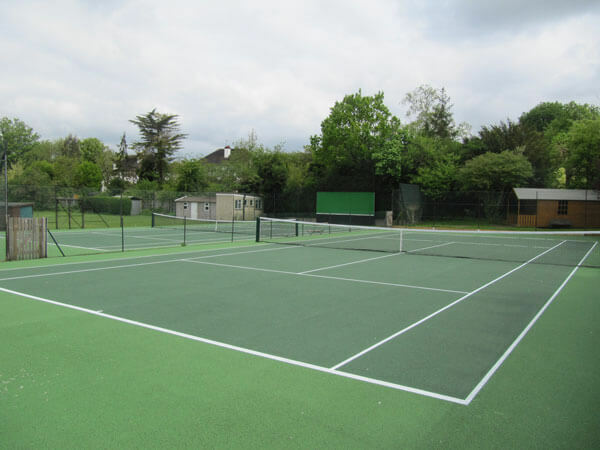 St. Paul’s is a small and very friendly local club with 2 hard tennis courts. 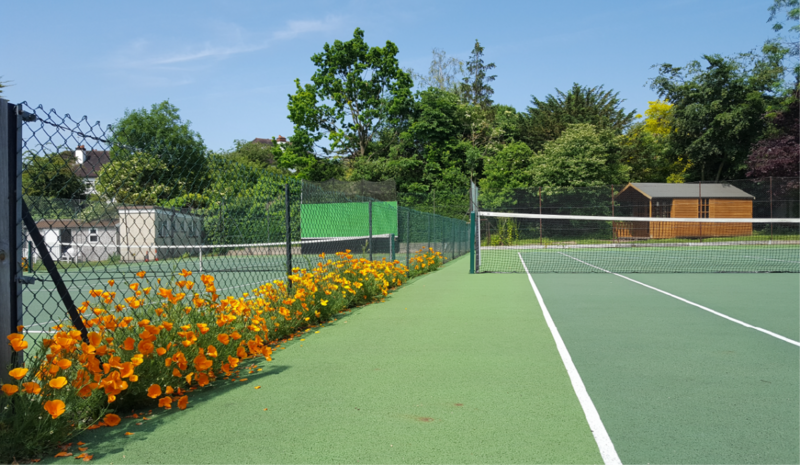 The courts are available for any members to use outside of club sessions – no booking necessary, although matches and tournaments take priority. We enter teams into both the winter and summer Surrey Leagues. Internal Club Tournaments (singles, doubles and mixed doubles) are organised during the summer months. The grounds are shared with St Paul’s Croquet Club who have a Croquet Lawn alongside the tennis courts. If you would like further details about the Croquet Club, please email us through the Contact page. 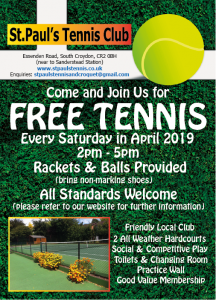 Please come along and join our warm and friendly Tennis Club based in South Croydon, Surrey. We are now actively seeking additional members and to meet new friends.